Browse: Home / This Summer, the Summer Reading Program Proves Why Libraries Rock! This Summer, the Summer Reading Program Proves Why Libraries Rock! As the weather gets warmer, the Library also heats up, as the Summer Reading Program kicks into high gear. This year, in addition to the Summer Reading Game for kids – in which participants win prizes for reading – there will also be an adult version. The Library’s summer programs kick off on Friday, June 22 – not coincidentally the last day of school in Pelham –when Dinosaurs Rock comes to the Library to share a variety of dinosaur skeletons and over 30 fossils. There will even be a skull of a T-Rex! The event is from 1 – 2:30 p.m. and open to all — no registration required. On the way out, attendees will even receive a dinosaur-themed goodie bag! See below for the full roster of summer events; they are sure to make you say, “Libraries Rock!” – but first, immediately below, is information about the Summer Reading Game. The Library will once again sponsor a children’s Summer Reading Game, which encourages and rewards kids for reading. Sign-up begins on Monday, June 4. For game rules and the sign-up form, click on this link at pelhamlibrary.org. Here are the basics: This year, children will receive prizes for how many minutes they read instead of how many books they read. Once they’ve signed up online, registrants can stop by the Library to pick up an official “Timed Reading Record” and a book of stickers. Children can get a gift from the Treasure Chest for every 60 minutes (three stickers) of reading – and a book prize for every three hours (nine stickers) of reading. The last day to sign up for the game is Friday, July 27. There will also be a raffle and a grand prize for kids who read enough to complete at least one Reading Record! As always, the Summer Reading Game will conclude with a make-your-own-sundae ice cream party for children who participated. This year it’s on Thursday, August 23rd at 3 p.m.
Watch the Library website for more information on the adult version of the Summer Reading Game, which will award prizes to grown-ups who are spending time reading this summer. Below is the full list of rocking activities at the Library this summer. From tiles to tambourines, fossils to making flowers, there’s something for everyone! 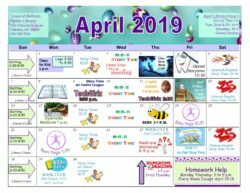 For activities that require registration, please call the Library at (914) 738-1234. Adults must remain on premises while children attend programs. Summer Reading Program Kickoff: Dinosaurs Rock! Friday, June 22, 1 – 2:30 p.m.
To kick off the Summer Reading Program, the Library is proud to present Dinosaurs Rock! Dinosaurs Rock’s programs bring a myriad of museum-quality (many genuine and life-size) dinosaur fossils and other prehistoric related items to libraries, and attendees will see specimens that are 10,000 to over 500 million years old. This event promises to be highly interactive, educational and fun. No registration required. On the way out, attendees will even receive a dinosaur-themed goodie bag! Monday, June 25, 3 – 5 p.m.
A follow up to 2013’s Pacific Rim, this movie, which takes place in Asia, follows the further adventures of Jake Pentecost, who goes from being a promising pilot to a life of crime, after his famous father dies in order to protect humanity from the Kaiju (giant monsters). But as a new threat looms, he is given the opportunity to save the world yet again by his estranged sister, Mako Mori. Rated PG-13, this action-adventure is for teens and older. Registration is not required. This event is supported by The Friends of the Pelham Public Library. New Monthly Program: Have Fun With the Lego Club! Monday, July 9, August 6, 3:30 – 4:30 p.m.
Lego lovers of all ages are invited to come to the Library’s new Lego Club. You’ll get to use your imagination to build unique Lego models to be displayed at the library! You provide the creativity; the library provides the Legos. Registration is required. Tuesdays, July 10, 17, 24, 31, 1:30 – 3 p.m. In this four-week series, adults — and teens age 16 and above — can explore and create sun prints in this fun and easy program. Each week will explore a different way for making a sun print, which uses sunlight as part of the process! The different methods attendees will learn will include: found objects, making a stencil, moire designs, and drawing on transparencies. Registration is limited to 15 people, so don’t delay signing up. In the event of rain, the session will be cancelled. Thursday, July 12. Workshop: 7 – 7:45 p.m.; Show: 8 – 8:45 p.m.
Save the date for this magic workshop for teens this summer, being taught by Jim Vagias. Following the workshop, Vagias will perform some tricks of his own. For ages 13 – 18. Registration is required for the workshop, but not the show. Tiles Rock! – So Make a Sharpie-Dyed Tile Coaster! Friday, July 13, 3 – 4 p.m.
Make your own coaster plate with Sharpie dyed tiles! Attendance for this program is limited to the first twenty kids who sign up. Registration is required. Wednesday, July 18, 3 – 4 p.m. Fuzzy wire + Tissue Paper = Amazing Flowers! Come to the Library and make a bunch during this fun program. Registration is required, and attendance is limited to the first 20 kids who sign up. Friday, July 20, 10:30 – 11 a.m.
Karen Hamlin from Sounds Good Westchester returns to the Library with this program for babies and young children through first grade that features songs, rhythms, movement, shakers and scarves. Registration is not required. This program is funded by the Friends of the Pelham Public Library. Tambourines Rock – And Now You Can Make Your Own! Wednesday, July 25, 2 – 3 p.m. Kids ages pre-K through third grade are invited to cool off indoors while making a tambourine. You can even test it out at the Library! Registration is required and attendance is limited to the first 20 children who sign up. Come Enjoy Story Time With Miss Keila’s Jukebox! Fridays, July 27, August 3, 10, 17, 10:30 – 11 a.m.
Miss Keila comes to the Library for four Friday mornings in July and August, offering her rocking, book-themed musical story time! A popular program at libraries throughout Westchester, this is a great opportunity for children ages pre-K through first grade to come boogie and bounce as Miss Keila sings popular books! 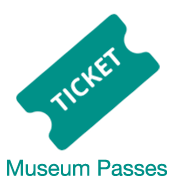 This program will use the ticketing system employed by the Library’s Tuesday and Wednesday Story Times. Get there early to get a ticket — and reserve a space! This event comes to the Library courtesy of the Friends of the Town of Pelham Public Library. Thursday, August 23, 3 – 4 p.m.
As this year’s Summer Reading Game comes to a close, children who participated can come celebrate at the Library with the annual make-your-own-sundae ice cream party! Summer Reading Game participants should sure to register so that there’s enough ice cream for everyone! Tuesdays, Wednesdays, and Thursdays through June 21, 3:30 – 4:30 p.m. Teen helpers are at the Library three afternoons per week to provide homework help and tech help. The homework help is for children in grades K – 6, and the tech help is for adults who need troubleshooting on their devices. This program is drop-in. Just show up when you want to! Based on the classic 1962 novel by Madeline L’Engle, the 2018 movie A Wrinkle in Time tells the story of the Murry siblings, who travel the universe with their friend in search of their missing father, a world-renowned physicist who may have solved the secrets of time travel. Featuring Oprah Winfrey, Mindy Kaling and Reese Witherspoon. Registration is not required. This event is made possible by the Friends of the Town of Pelham Public Library. Thursday, June 7, 7:00 – 9 p.m.
Homegoing follows the divergent paths of two half-sisters, unknown to each other, in a tale that starts in Ghana in the eighteenth century. As one sister marries an Englishman and lives a comfortable life, the other is sold into slavery. The book weaves its way through eight generations of the sisters’ descendants. This is the last session of the After-Dark Book Club before it goes on its summer hiatus and also the annual pot-luck dinner, so it starts early at 7 p.m.
Friday, June 8, 10:30 – 11:30 a.m. This memoir by fiction writer Richard Ford about his parents, is, in a sense, two memoirs. The first, about his father, was written recently, although he died in 1960; the second one, about his mother, was written in 1981 just after her death. But, according to a review by Cheryl Strayed in The New York Times, it is not just about Ford’s parents: “In showing his mother and father to us, Ford — an ordinary child, who grew up to become one of our most distinguished fiction writers — has, inevitably, shown a fair portion of himself.” This is the last session of the 2nd Friday Book Club before it goes on its summer hiatus. Saturday, June 9, 11 a.m. – 12 p.m.
Got stress? Come to the Library’s meditation workshop, led by Meditation Instructor Kellye Davis. This program teaching stress reduction techniques is for anyone age 16 and up and is suitable for seniors as well. Davis will lead the class through various relaxation exercises, answer questions and provide participants with handouts to take home. No experience is required; participants may bring yoga mats or sit in chairs during the exercises. Registration is suggested, but walk-ins are welcome. Thursday, June 21, 6:30 – 8:30 p.m. This fun crafts program returns to the Library, just in time for you to make up a simple circle light-up LED card for a graduate you know. For adults, though interested — and serious — teens 16 and over may attend. Registration is limited to eight people. I read this article and found it very interesting, thought it might be something for you. 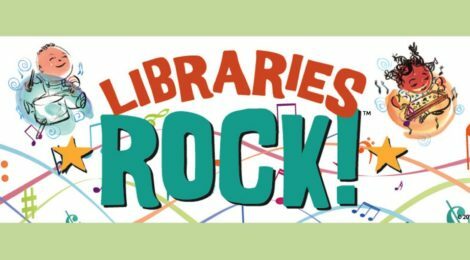 The article is called This Summer, the Summer Reading Program Proves Why Libraries Rock!and is located athttps://www.pelhamlibrary.org/blog/bookmark-summer-summer-reading-program-proves-libraries-rock/9434.